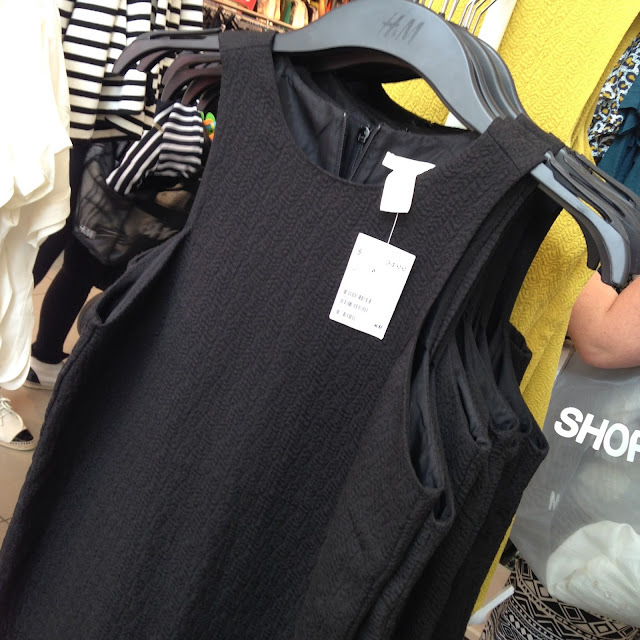 Tracy's Notebook of Style: Friday Favorites: Sequin Tees under $18 + Weekend Sales! 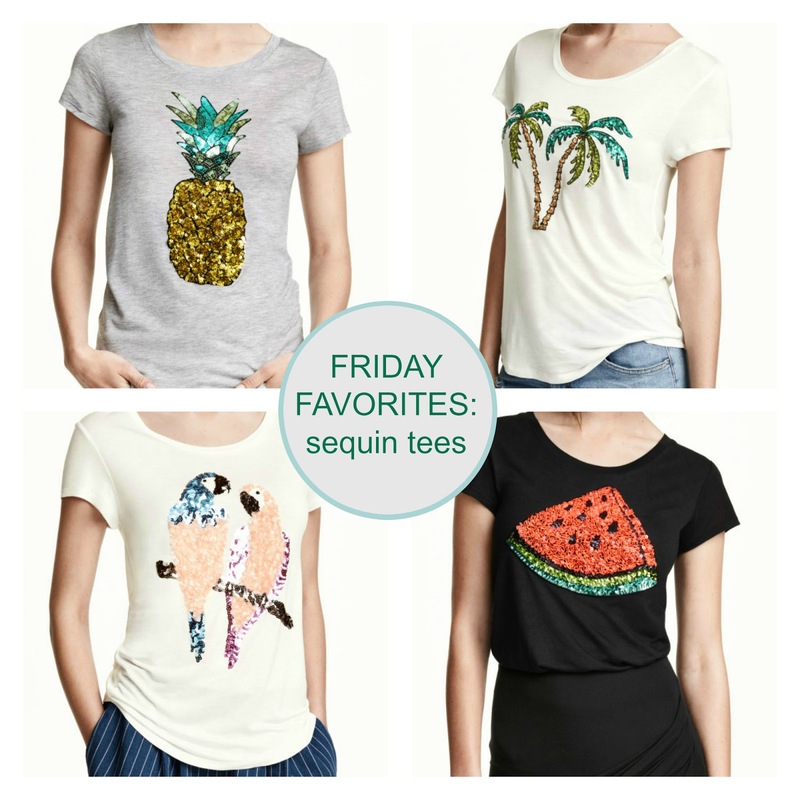 Friday Favorites: Sequin Tees under $18 + Weekend Sales! Sometimes I come across an item that is so cute, it has to be in the spotlight and these tees need to be shared! 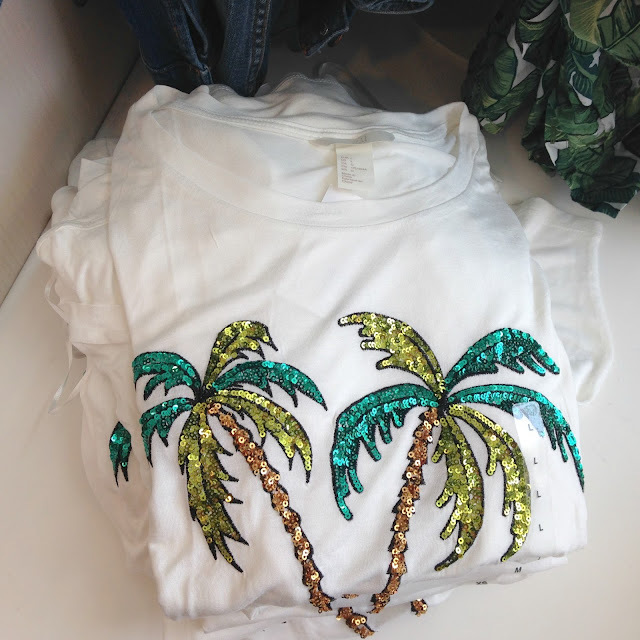 Last week, I spotted an adorable sequin pineapple top and just a few days later, more cuteness was added to the collection. These are a fun way to add some sparkle to your summer outfit or dress up a pair of skinny jeans and heels for a night out. 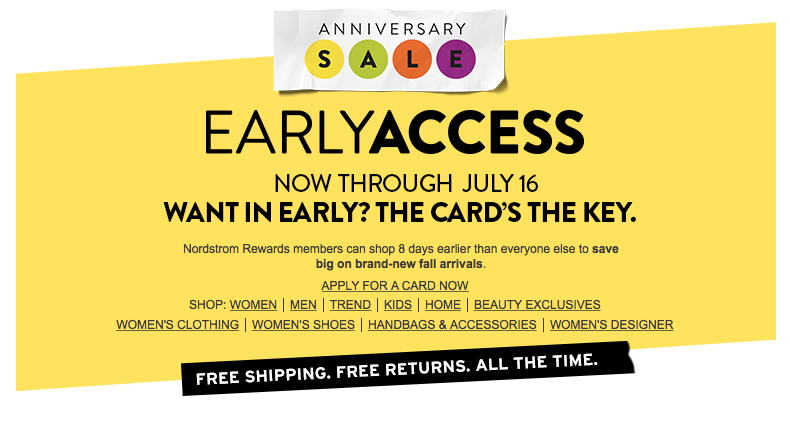 In case you didn't see everyone talking about one of the biggest shopping events of the season, the early access for cardholders is here! If you aren't a debit or cardholder, you can still get a sneak peek before the sale opens to the public on Friday, July17th. Shop pre-fall designer items on major discount before they go back up to regular price in a few weeks. A few items in my cart Throw Blanket (in leopard of course), Bucket Bag, Long Cardigan, M.A.C. Lip Kit, such a good value! Wish list (so far): Kate Spade Pink Bow Wallet (pink and a bow), Studded Flats look for less shoes for $60 compared to the cult favorite Valentino rockstar flats...okay, I'll stop now (before I list every item on the site) and share all of my favorites next week when everyone has the opportunity to shop the sale. Zara More markdowns added today - save up to 50%! I love these tees! Especially the bright colors for summer. >>Target EXTRA 25% off + Weekend Sales! Style Steals under $25 + 11 Sales to Shop! Target NEW $5 "Back to College" Beauty Boxes! Splurge v. Steal: Chloé bag $22.90 v. $1600! HUGE 4th of July SALES + $4 Dresses!! !